This site is owned and operated by Skateworld San Diego. Materials contained on or obtained through this site, including, but not limited to, text, graphics, images, data, audio and video (collectively, the “Materials”) are owned or licensed by Skateworld San Diego. Any use of any of the materials on this site other than for private, non-commercial viewing purposes is strictly prohibited without prior written consent from Skateworld San Diego. The sale, auction, lease, loan, gift, trade, or use of any of the text, graphics, photographs, audio and/or video material, or stills from audiovisual material or any other materials contained herein, for any other purpose, in any form, media or technology now known or hereafter developed, including the use of any of the aforementioned materials on any other web site or networked computer environment, without prior written consent from Skateworld San Diego, is expressly prohibited. The creation of derivative works based on the materials contained herein including, but not limited to, products, services, fonts, icons, link buttons, wallpaper, desktop themes, on-line postcards and greeting cards and unlicensed merchandise (whether sold, bartered or given away) is expressly prohibited. No Materials from this site or any web site owned or operated by Skateworld San Diego may be copied, reproduced, uploaded, posted or transmitted, without prior written consent except that you may download one copy of the materials on any single computer for your personal, non-commercial home use only, provided you keep intact all copyright and other proprietary notices. Modification of the materials or use of the materials for any other purpose without prior written consent is a violation of Skateworld San Diego’s copyright and other proprietary rights. For purposes of these terms, the use of any such material on any other web site or networked computer environment is prohibited. You must retain all copyright, trademark and other proprietary notices contained in the original materials on our site or on any copy you make of the materials. You may not frame or utilize framing techniques to enclose all or any portion of this site. 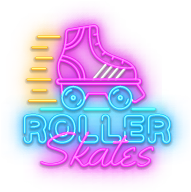 You may not use any metatags or any other similar hidden text utilizing Skateworld San Diego’s name, service marks or trademarks. Skateworld San Diego has created this privacy statement in order to demonstrate our firm commitment to privacy. The following discloses our information gathering and dissemination practices for this website: www.skateworldsandiego.com. This site contains links to other sites. www.skateworldsandiego.com is not responsible for the privacy practices or the content of such web sites. Our site uses a contact form for customers to request information, products, and services. We collect visitor’s contact information (such as their email address), name, and any other information they may submit. Contact information is used to respond to inquiries and to provide information about our company to our customers. The customer’s contact information is also used to get in touch with the visitor when necessary. Users may opt-out of receiving future mailings; see the choice/opt-out section below. Financial information is used to bill the user for products and services. This site has security measures in place to protect the loss, misuse and alteration of the information under our control. Information sent through our order form is handled through a secure server, and no information is left on our server for any extended period of time. Strict procedures are in force in our offices to maintain the security of your information while your order or inquiry is being processed. Correct/Update — This site gives users the option to change and to modify information previously provided as needed. Contact Us-If you have any questions about this privacy statement, the practices of this site, or your dealings with this web site, please contact us using our online inquiry form or call us at 858-560-9349. THIS SITE AND THE MATERIALS ARE PROVIDED ON AN AS-IS, AS-AVAILABLE BASIS WITHOUT ANY WARRANTY OF ANY KIND, EITHER EXPRESS OR IMPLIED. TO THE FULLEST EXTENT PERMITTED BY LAW, THE ICE CHALET, ITS AFFILIATES AND ITS THIRD PARTY LICENSORS DISCLAIM ALL WARRANTIES, EXPRESS OR IMPLIED, INCLUDING, BUT NOT LIMITED TO, ANY IMPLIED WARRANTY OF MERCHANTABILITY, NON-INFRINGEMENT, FITNESS FOR A PARTICULAR PURPOSE OR ACCURACY OF ANY INFORMATIONAL CONTENT. CERTAIN STATES DO NOT ALLOW DISCLAIMERS OF CERTAIN WARRANTIES OR LIMITATIONS ON HOW LONG AN IMPLIED WARRANTY LASTS, SO ONE OR ALL OF THE FOREGOING LIMITATIONS MAY NOT APPLY TO YOU. IN NO EVENT SHALL SAN DIEGO SKATEWORLD CENTER, INC, ITS OFFICERS, DIRECTORS, EMPLOYEES,AGENTS, AFFILIATES OR ITS THIRD PARTY LICENSORS BE LIABLE FOR ANY DAMAGES OF ANY KIND (INCLUDING, BUT NOT LIMITED TO, DIRECT, INDIRECT, INCIDENTAL, CONSEQUENTIAL, SPECIAL, PUNITIVE OR EXEMPLARY DAMAGES, OR ANY DAMAGES FOR COMPUTER FAILURE OR MALFUNCTION, COMPUTER VIRUSES REGARDLESS OF THE CHANNEL BY WHICH THEY ARE SPREAD, BUSINESS INTERRUPTION, LOSS OF PROFITS, USE, DATA, GOODWILL OR OTHER INTANGIBLES,) ARISING FROM OR IN ANY WAY RELATING TO THESE TERMS, THIS SITE, THE MATERIALS (INCLUDING, BUT NOT LIMITED TO, THE USE OR INABILITY TO USE THIS SITE OR THE MATERIALS), OR ANY INFORMATION, GOODS OR SERVICES CONTAINED ON OR OBTAINED THROUGH THIS SITE, EVEN IF ICE SKATING INSTITUTE HAS BEEN INFORMED OF THE POSSIBILITY OF SUCH DAMAGES AND REGARDLESS OF THE FORM OF ACTION (INCLUDING, BUT NOT LIMITED TO, CONTRACT, NEGLIGENCE, TORT OR WARRANTY). CERTAIN STATES DO NOT ALLOW THE LIMITATION OF CERTAIN DAMAGES, SO SOME OR ALL OF THIS LIMITATION OF LIABILITY MAY NOT APPLY TO YOU AND YOU MAY HAVE ADDITIONAL RIGHTS. You agree to defend, indemnify and hold harmless Skateworld San Diego and its affiliates and their officers, directors, employees and agents, from and against any and all third-party claims, liability, injuries, actions, demands, costs or expenses (including, but not limited to, attorneys’ fees) of any nature arising from or relating to your use of this site or the Materials, material that you post to this site or otherwise provide to Skateworld San Diego, or your breach or violation of these terms. Skateworld San Diego reserves the right to defend any such claim, and you agree to provide Skateworld San Diego with such reasonable cooperation as it may request. As stated previously, the use of any of the material on our site is strictly prohibited without prior written consent. The rights to some of the photographs on our site belong to the photographer and not Skateworld San Diego. At no time will permission be granted to use any material for commercial purposes. If you are interested in using any material on our site in a non-commercial manner, please send an e-mail to us requesting permission. Include in your e-mail the reasons you would like to use the material and how it would be distributed. Permission is granted at our sole discretion on an individual basis only and is given only for the specific purpose requested.